There are many cameras in the sea, and not all are made equal. You may want to build your professional portfolio, use a classic OG movie camera, or maybe just do something for your Instagram game. To find out which camera is right for you, you need to ask yourself what you use it most and how much money you want to spend. 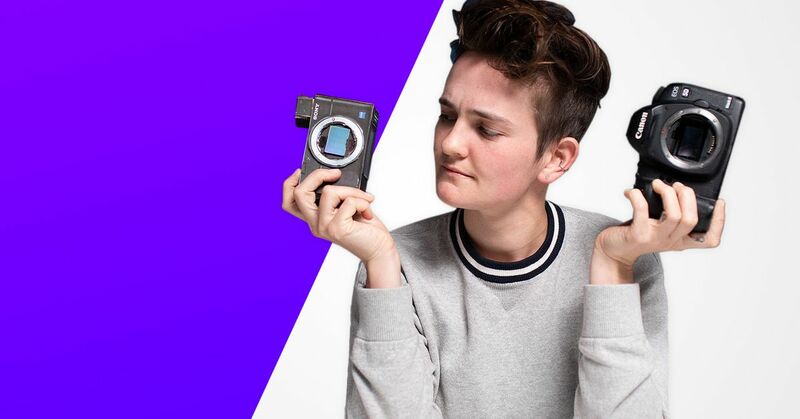 If you want to do amazing portraits and know what an F-Stop is, these professional cameras cost around $ 2,000 – and that's for the body. Expect another $ 500 to $ 1,000 for a lens. For daily shots I like the Canon 5D Mark III, and at night I like the Sony Alpha A7S MKII with Canon lens. I'd use the 5D all the time if I could, but in darker environments it's not the best, since the ISO setting often causes too much noise. The A7S handles this noise a lot better and has an electronic viewfinder that shows me what the recording will look like. Although both cameras are great cameras, the 5D is a bit bulkier. This is both a good and a bad thing: although it is not exactly comfortable for travel, the build quality is impressive and really stands up. The A7S, however, is small and the video quality is razor-sharp. Go to a store and hold it in your hands to find out which model you really prefer. When I use an RX100 with my friends for this fast photo, I use Instagram's built-in editing tools. If you're looking for something deeper, Lightroom's mobile app is really great. It's free and easy to use on the phone, and the results are incredible. If I'm on a desktop, it's because I shot with the Canon or A7S in RAW Lightroom is by far my favorite. Yes, Adobe is expensive, but I'm really used to all the controls, and it's worth it for me, since I use it for work as well. If you do not really have the money for it, a program called RawTherapee is also a good alternative, which can open RAW, TIFF, and JPG files with new program updates to make it a decent opponent to Lightroom.